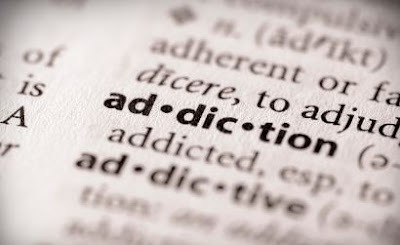 When most of us hear the word addict, we think of someone addicted to a chemical substance. However, addiction isn't limited to just substance abuse. Can any human activity become an addiction? Yes. When carried to an extreme, any behavior can veer out of control and become the dominant, driving force in a person's life. It can master her. It can consume him. Whatever the habit, the two-step pattern is always the same. The first phase is the mental preoccupation - the obsession. The thought of the activity gabs hold of the person and preoccupies him or her to the exclusion of everything else. The person cannot shake loose of it. At this point the shopaholic is absorbed, even obsessed with the idea of a buying binge. She wants to acquire, collect and possess. In the case of the relationship addict, he is obsessed with the notion of taking charge of the relationship, and perhaps even taking charge of the other person. After obsession comes the second phase: acting out the obsessive thought. This action is the compulsion. The relationship addict or the shopaholic loses control, gives in to the mental preoccupation, and is compelled - even driven - to do whatever he or she feels necessary. She shops. He flirts. Or, in the case of other addictions, he or she might exercise, work, worry, scrub, or gulp mega-vitamins incessantly.